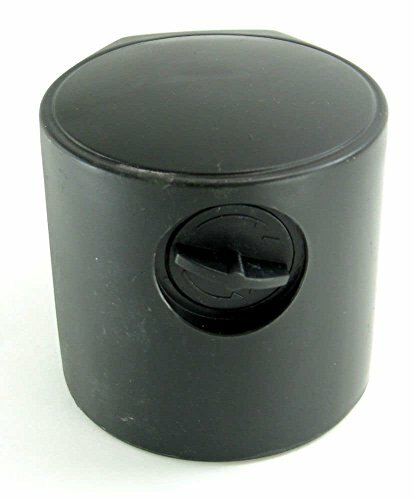 Schwinn 18112 Exercise Cycle Stabilizer End Cap, Rear Genuine Original Equipment Manufacturer (OEM) Part for Schwinn & Nautilus by Schwinn at DCJ. MPN: 18112. Hurry! Limited time offer. Offer valid only while supplies last. Genuine Original Equipment Manufacturer (OEM) parts! This manufacturer-approved stabilizer end cap (part number 18112) is for exercise cycles. Genuine Original Equipment Manufacturer (OEM) parts! This manufacturer-approved stabilizer end cap (part number 18112) is for exercise cycles. Stabilizer end cap 18112 covers and protects the end of the stabilizer. Wear work gloves to protect your hands when installing this part. For Schwinn & Nautilus.